Audiobook Week Mid-Week Meme – my books. my life. Impressions: Loving it. Like the narrator. Like the subject. Finding the whole experience enjoyable. Robertson Dean. Mr. Dean, please start narrating more books that I want to read. Your voice is so dreamy. 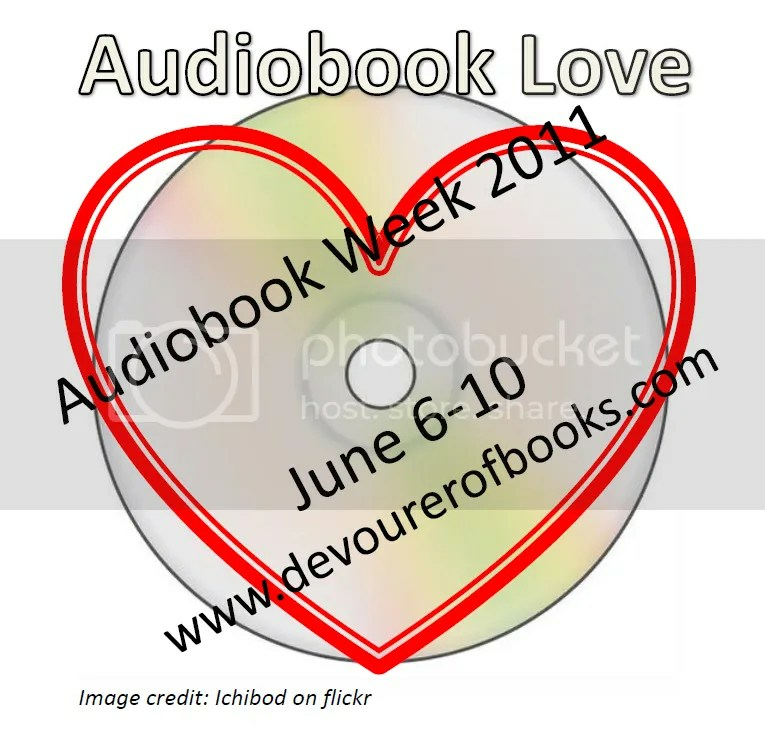 Join the fun and head on over to Devourer of Books for all of the Audiobook Week goodness. The Immortal Life of Henrietta Lacks is on my wish list. I may just have to bump it up to the top of the list! I’m bad at rereading.. I just don’t like to do it. But I definitely like non-fiction on audio!! Here’s my audio book week post! Robertson Dean is my audiobook boyfriend. I really love listening to nonfiction on audio and Immortal Life was a fantastic audio! So many new to me narrators to be on the look out for! I think The Immortal Life of Henrietta Lacks is going to be my next audiobook, as I have heard so many great things about it that I can’t in good conscience pass it up! Great list here today! I haven’t tried listening to nonfiction yet – not really a big fan to begin with, but maybe listening might be better! My mid-week meme can be found here. A dreamy voice… count me in! I re-listen to audios too! I love doing it because it’s so relaxing. I need to see if my library has Stardust.